The Securities Industry Essentials (SIE) Total Study Package comes with Solomon's bestselling Exam Study Guide, Audiobook, industry-leading Online Exam Simulator and an excellent Video Lecture. The Solomon SIE Essentials Study Package comes with Solomon's bestselling Exam Study Guide and industry-leading Online Exam Simulator to facilitate learning and knowledge retention. 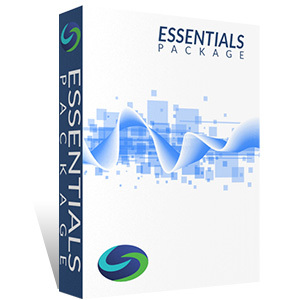 The Securities Industry Essentials (SIE) Audio Essentials Study Package comes with Solomon's Audiobook and industry-leading Online Exam Simulator to facilitate learning and knowledge retention. 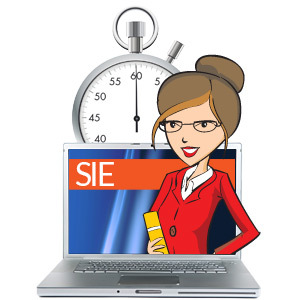 The SIE Video Premium Study Package comes with Solomon's bestselling Exam Study Guide, Video Lecture and industry-leading Online Exam Simulator to facilitate learning and knowledge retention. 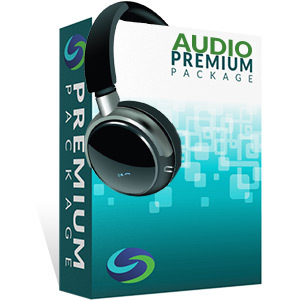 The Securities Industry Essentials (SIE) Audio Premium Study Package comes with Solomon's bestselling Exam Study Guide, Audiobook and industry-leading Online Exam Simulator to facilitate learning and knowledge retention. 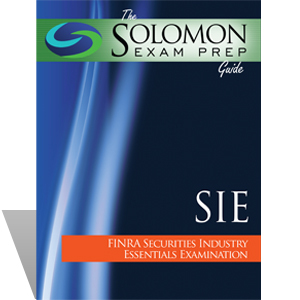 The Solomon Exam Prep Guide to the FINRA Securities Industry Essentials Examination offers a no-nonsense guide to the SIE exam. With detailed explanations, visual study aids, and example questions, this Solomon Exam Prep guide will get you on track to passing the Securities Industry Essentials Exam. The Solomon SIE Online Exam Simulator is the industry-leading, online testing solution for the FINRA Securities Essentials Examination! The SIE Video Lecture highlights the most important and heavily tested FINRA exam topics. Join Solomon Exam Prep professors as they review the need-to-know information in this dynamic, online training course. 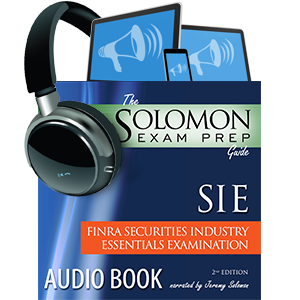 This 12-hour audio recording of "The Solomon Exam Prep Guide to the Securities Industry Essentials" will give you the content of this invaluable and enjoyable study guide in an audio format. 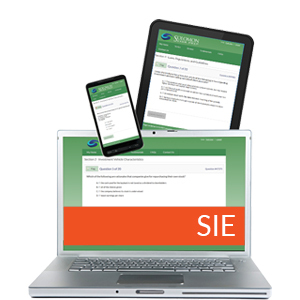 Learn key definitions and concepts on the FINRA Securities Industry Essentials (SIE) exam with Solomon Exam Prep SIE exam digital flashcards! The perfect supplement to our industry-leading SIE study materials, the Solomon SIE flashcard pack will help you learn foundational securities industry definitions and concepts with ease. Or buy a Solomon SIE Study Package … and get the Solomon SIE Flashcards for free! Your Series 79 book was great and your practice questions were spot-on. I passed the first time. Thanks! Between September 18 and December 3, I took exams for the Series 62, 63, 6 and 24. I studied for everything with Solomon, and passed them all on the first try. Solomon’s interactive/Ask the Professor teaching method was extremely helpful in grasping the necessary concepts. What a relief to be done. Thanks, Karen!